← May 5th: Whose Freedom are we celebrating? On Tuesday May 21 Metro, the blood stained rag that has the gall to call itself a newspaper, published yet another Lampedusa-related cartoon. Each violently mocks the African men and women who flee their homes, travel thousands of miles and leave the Libyan coast in overcrowded boats in the hope to reach the South European shoes. Many of what are often calls ‘migrant boats’ sunk which resulted in the deaths of hundreds of people… and that’s only a count of the last few months. 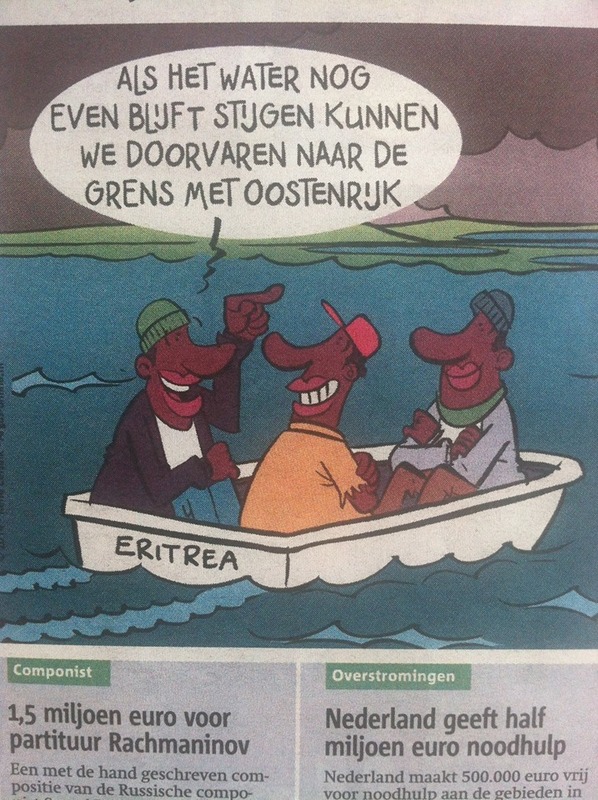 Posted on May 22, 2014, in #UndocumentedNL, Anti-Blackness in the Netherlands. Bookmark the permalink. 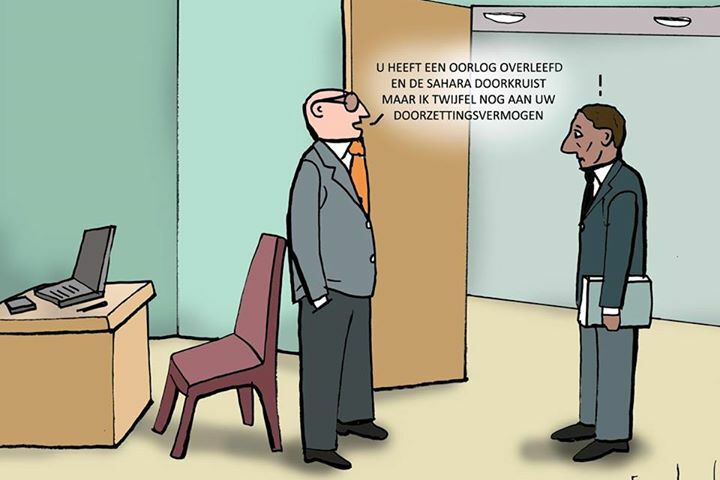 Comments Off on The Netherlands – cartoonist and National Council for Refugees chuckle about Europe’s asylum regime – prelude.